When Peek saw a way out of his servitude he took it. He paddled with all his might to a distant island protected by fierce currents where aged monks kept the secrets of The Melody. But his arrival tore at their spells and left them vulnerable. 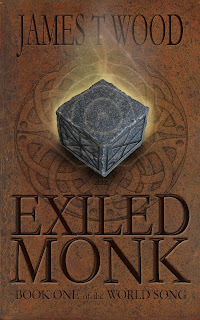 When the seafaring raiders attacked, Peek witnessed the monk’s magic in force. But it wasn’t enough. Peek drove off the raiders with a chaotic power he didn’t know he possessed. From the ashes of his new home Peek glimpsed the flames of his old. The monks were without protection and the village without provision. Only together could they survive the coming winter. Now Peek must stand with the monks against the relentless berserkers who want to claim the power of The Melody for their own dark purposes. But he must also control the forbidden, blasphemous magic within him or face exile from the only people who have ever cared for him. Lazy, snarky, and barely-not-homeless, Corey is a happy with his mediocre existence taking odd jobs for rent money. But when one of the jobs is medical experimentation and it leaves him with abilities he can’t explain he starts to get nervous. On the way back to the doctor – where he hopes to see the cute intake nurse again – he notices a man too burly and too nicely dressed to be on public transit, when he notices the second one he gets scared. When they follow him, he fights back. Corey can exactly mimic anything he sees or hears. Anything. So he calls on his knowledge of kung fu gleaned from too much TV and escapes the mysterious attackers. He finds out that the intake nurse, Anka, is actually an NSA agent and the medical experiment is a secret program that all sorts of bad people want to know about. And since he’s the only surviving test subject, they want him. Together Corey and Anka have to figure out who they can trust, who’s trying to capture them, and who’s trying to blow them up. But they’d better do it quickly because the experiment that gave Corey his powers is also killing him. Between novels (and when I get bored) I write short stories and flash fiction (even shorter stories). You can find a slew of them on my Patreon page. More will be going up there, but for now you can enjoy my current series inspired by logical fallacies. 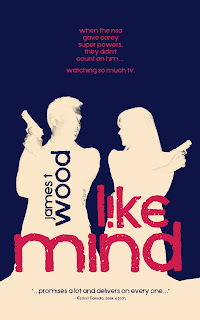 I also have a beta-version of the sequel to Like Mind posted in episodic form.